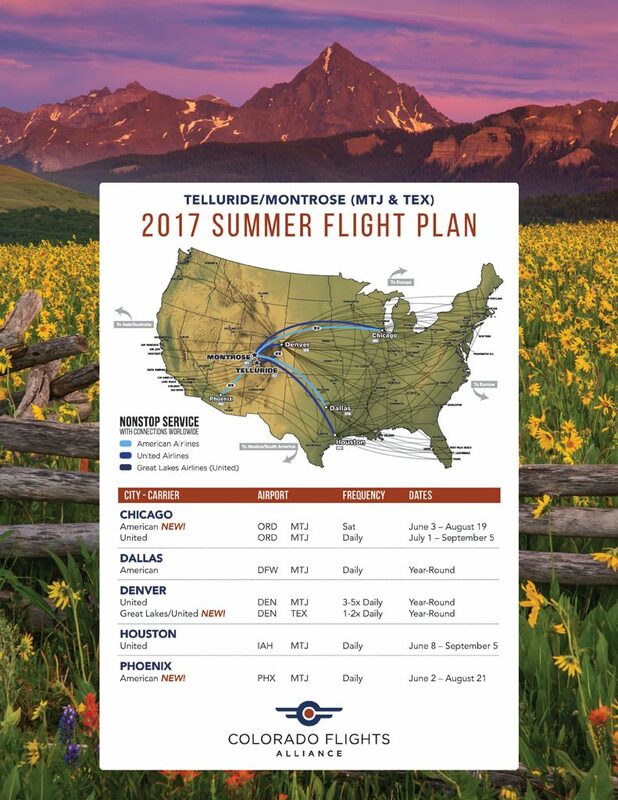 The new 2017 Telluride/Montrose flight schedule features flights from Chicago, Houston, Dallas, Phoenix, & Denver. Three new flight options include: a direct flight from Denver in to Telluride daily, a second Saturday flight from Chicago in to Montrose, and a daily flight from Phoenix to Montrose. Book your Telluride summer vacation now through American Airlines (Chicago, Dallas & Phoenix), United Airlines (Chicago, Denver & Houston), and Great Lakes Airlines (Denver).